Prime Minister Binyamin Netanyahu released a statement Monday, expressing condolences over the death of Pensioners' Minister MK Uri Orbach (Jewish Home), who passed away overnight Sunday/Monday. "I mourn the passing of Minister Uri Orbach, a writer, a journalist, a spiritual man and a Jewish patriot," Netanyahu said. "Uri won over all who listened to him with his charm, knowledge and deep wisdom which stemmed from the depths of his soul." "He had a deep sensitivity for every human being, a sensitivity that he brought with him as Senior Citizens Minister and to all his endeavors," he continued. "Despite his exceptional qualities, there was no malice in him. I never met anyone who knew him and did not love him." "Last night, alongside members of his family, I said goodbye to him at the hospital with a profound sense of grief and loss," he concluded. "Uri will be sorely missed by his dear family, his Cabinet colleagues and the State of Israel." Defense Minister Moshe Ya'alon also issued a statement. "Minister Uri Orbach was a man of values and virtues, of honesty and humility, of manners and exceptional humanity," Ya'alon stated. "Whether his wisdom, his intelligence or his special humor, Uri was a special man in Israeli politics, and not without reason was accepted and loved by all parts of the Knesset." "Uri was, first and foremost, a human being and loving person." "There were, in Uri, these unique features which reconciled between the religious and the secular, between right and left, between Jews and non-Jews," he added. "He always kept the dignity of others. Even those who disagreed with him, acquired great respect for him, knew that Uri is exemplary statesman, who had clear and strong positions but was also patient and tolerant to hear and accept others' opinions." 'This was one of his most impressive traits," he concluded. "Uri, you will be missed by all of us." "Uri Orbach was a central figure in Israel's history in recent decades and had great influence on Israeli society that will remain forever," Foreign Minister Avigdor Liberman (Yisrael Beytenu) added. "Orbach was able to bring the opinions of a large and important group in Israeli society to the fore, and was a man who knew well the love of Israel and love of the people of Israel. May his memory be blessed." Earlier Monday, Jewish Home Chairman Naftali Bennett eulogized Orbach on social media. "He raised generations of young people in the media and showed them that their dream is possible. Generations of religious and secular people learned from him that the connection between them is possible,” Bennett continued. Finance Committee chairman MK Nissan Slomiansky (Jewish Home), said, "Uri was a special and wonderful man, who knew how to combine deep wisdom with humor. He had very clear views on the relationship between religion and state and was able to stand on them." "His heart was open to all shades and opinions in Israel," he continued. "Uri did much for senior citizens; I will miss him in the party, and so will the people of Israel. May his memory be blessed." Housing Minister Uri Ariel (Jewish Home) also eulogized Orbach. "Tears are falling from my eyes," he said. "Uri always saw far ahead," he said. "He was genuine in his opinions, had a witty and sharp tongue and was a leader of religious Zionism, while daring to dream big." "Uri always knew how to give a positive angle, with his characteristic wit and humor, to every harsh and painful reality; his graceful smile never left him, even for a moment," Ariel continued. "I had the privilege to work alongside him the Knesset to advance along the important values to us all." "Uri was indeed taken from us but I have no doubt that his spirit will be accompany us for many years to come," he added. "I lost today a dear and close friend," Deputy Minister of Religious Services Rabbi Eli Ben-Dahan (Jewish Home) stated. "Much has been said about his wit and sharpness, but I want to talk about Uri as a friend, as a confidante, as one who knows how to encourage and help in times of trouble and at a difficult time." "Uri was the first to call to congratulate me on the primary election results," he noted. "Such is Uri, happy for the joy of others." Shas leader Aryeh Deri also eulogized Minister Uri Orbach. "I was sorry to hear about the passing of my friend, the late Minister Uri Orbach," Deri said in a statement. "Uri was a role model, with his vitality and constant joie de vivre which illuminated his face for each and every one of us; he was an example to us all." Knesset Speaker Yuli Edelstein (Likud) said, "Uri was beyond any dispute between us, a kind man with a great sense of humor." "The was much talk about his work, his enormous contribution to political discourse and pensioners in Israel. To serve with Uri was a great honor to anyone and I, like all of us, felt a great honor and a tremendous respect for this man." "May his memory be blessed," he added. 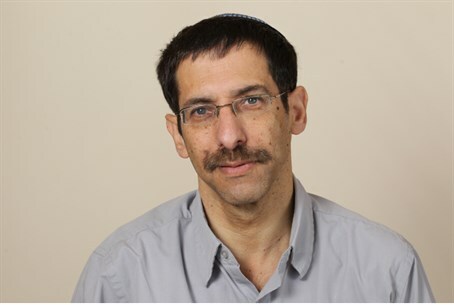 "The late Uri Orbach was a special person who is fighting for his life until the last minute," Transportation Minister Yisrael Katz (Likud) said. Even leftist MKs expressed mourning over Orbach's passing. "My friend Uri Orbach died and it's sad and painful," Labor MK Shelly Yechimovich wrote on her Facebook page Monday. "It is outrageous and unjust that the course of his life - the best of all, the most sensible and honest of all, the funniest of all - has been severed so young." "We were born in the same year, same month, same day, and at the same time," she continued. "The relationship between us, even though we belong to two opposing political camps, was extraordinarily close despite political differences." She said that "complex issues which had sparked a debate, Orbach knew how to spice them up with humor, and broke through barriers and opened the door to a more pleasant and respectful discourse." "His entry into the world of politics has been a model for other journalists," she added. "His love for Israel was manifested in his political interests, and he spoke clearly and fluently about them, about his desire to build a stronger and better society, a more tolerant one."